The Louisiana State Police (LSP) Emergency Services Unit has concluded operations at the site of yesterday’s fatal industrial incident at the Williams Olefins facility in Ascension Parish. LSP HazMat Technician Troopers have been on scene since Thursday morning when they first responded to reports of an explosion and fire. Following a mid-morning meeting Friday with involved agencies and a debriefing by the LSP Emergency Services Unit, diagnosis Troopers have relinquished control of the facility back to Williams Olefins and the operational plan has transitioned from an emergency and public safety response to remediation. The Department of Environmental Quality, sovaldi sale along with the air monitoring contractors hired by Williams, will continue to assess the air/water quality on and around the facility and report any readings of concern to LSP Hazmat Technician Troopers. An OSHA investigator, who is on-site, will begin the in-depth investigation as to the exact cause of the fire. OSHA will review every operational aspect at the time of the fire by examining work orders, work assignments, processes ongoing at that time and any other pertinent factors including actions of the contractors who were on-site. The LSP Emergency Services Unit will request a copy of OSHA’s final report and will make it part of the State Police investigative file. · LA 3115 in front of the facility was re-opened at 10 AM. · The process of busing contract employees to the facility from Lamar Dixon began at 10 AM. · All contract employees have been directed to have their vehicles removed from Williams by 1 PM. · Uniformed officers will remain in place until approximately 1 PM to facilitate the movement of contract employees. 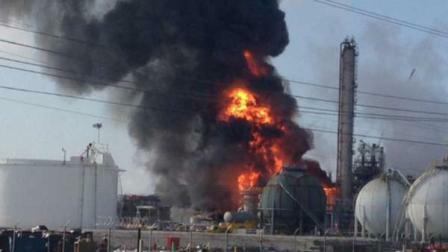 · All air monitoring readings are non-detect at the site and around the facility. · Eight loaded Propylene rail cars are being removed from the facility. · A minimal work crew will remain on site today to continue refilling fire water tanks, refueling generators, and carrying out other remediation duties. In addition to the response of the LSP Emergency Services Unit, the Louisiana State Fire Marshal Butch Browning and his team have been on scene throughout the incident. The Office of State Fire Marshal provided assistance to local responders in support of firefighting, sheltering of evacuees and rehab of firefighters. They have conducted a fire cause and origin investigation in partnership with State Police and are providing assistance in plan review and inspections for recovery and re-building of the facility.